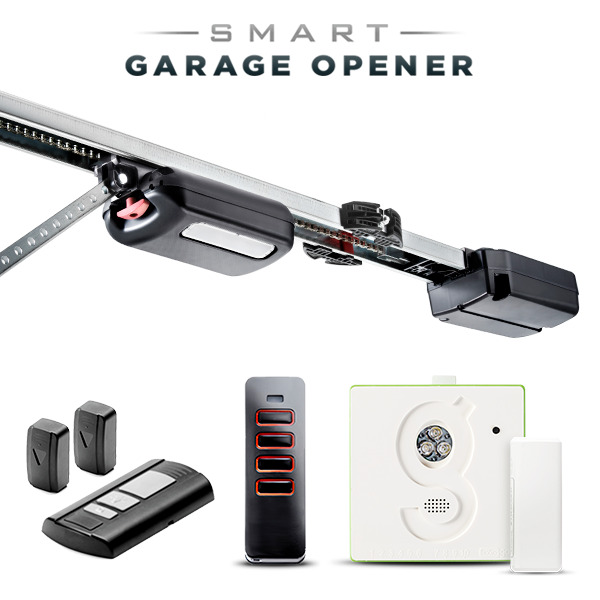 The smartest garage door opener available on the market, including Gogogate2 unique features (remote access, door alerts, user Management and autoamtic & close), Smart Home integration (iFTTT, Amazon Echo, Google Home) but also a unique opener with direct drive technology to make it very quiet and durable. 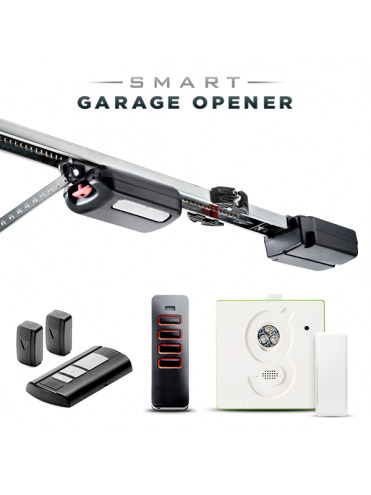 Smart, quiet and durable opener for complete remote control and monitoring of your garage door. 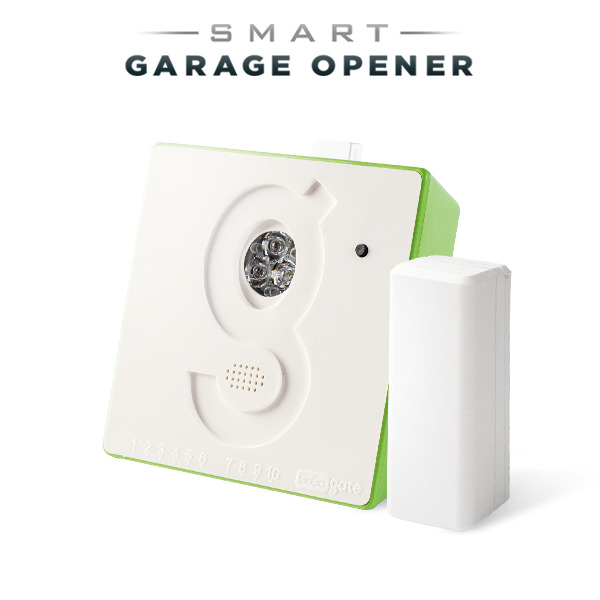 Best in class and Extremely quiet garage door opener with virtually no vibrations. The perfect choice for homes with living spaces above or near the garage. 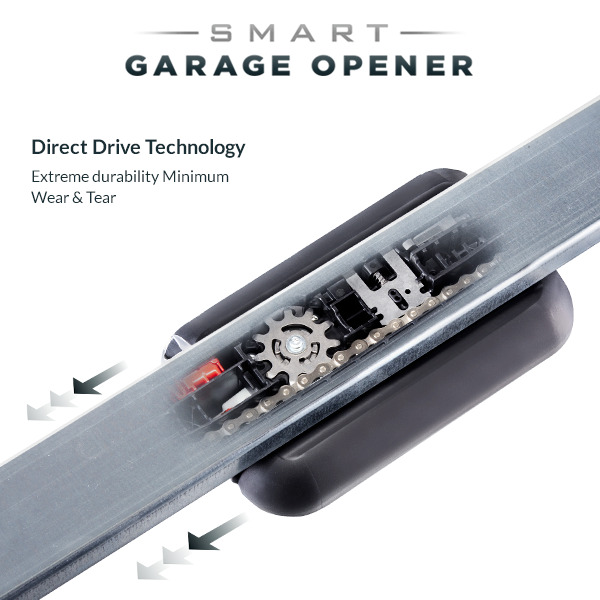 Our unique travelling motor technology makes this opener extremely durable and long lasting due only one moving part that minimizes wear and tear. 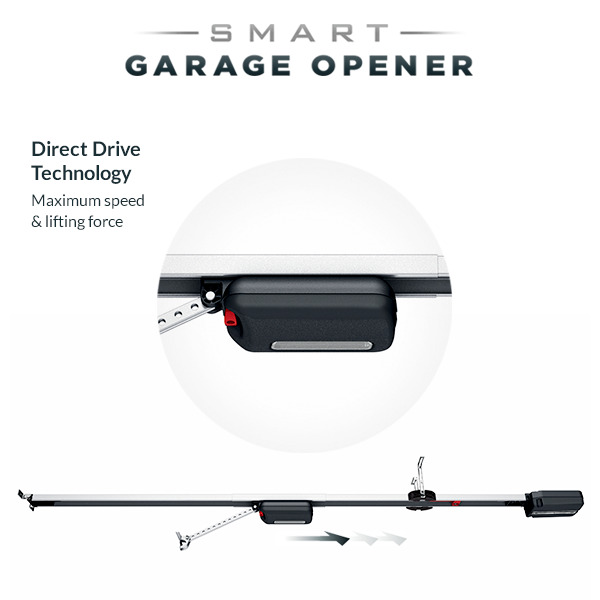 Your garage door will open faster than with any other opener since the motor is located at the door instead of the back of the opener, maximizing power. 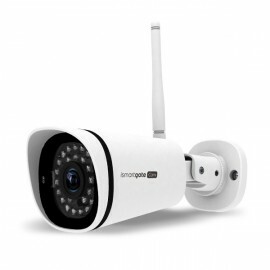 Opener with automatic locking and advanced object and force detection. Optional battery back up and locking magnet. 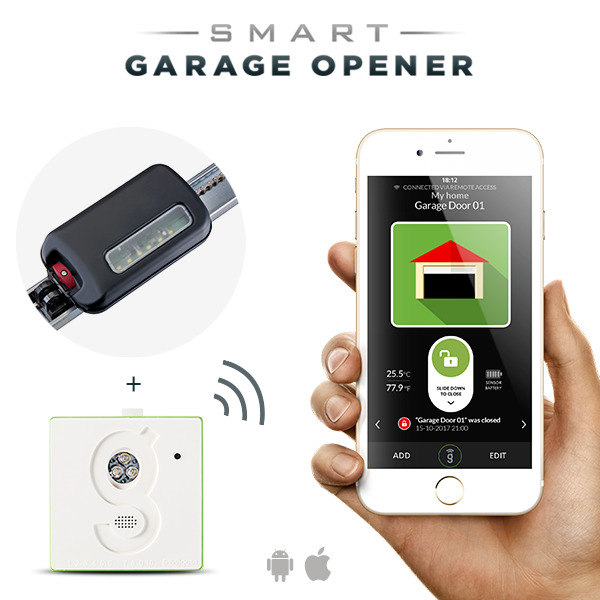 Open and close your garage door from anywhere from an app or via web. Internet connection required. 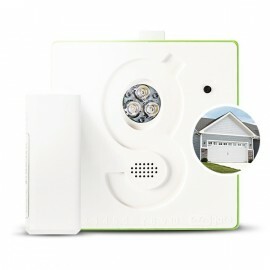 With IFTTT and Gogogate2, you can open and close your garage door at a given time everyday (ie. Make sure garage door is closed veryday at 9pm).